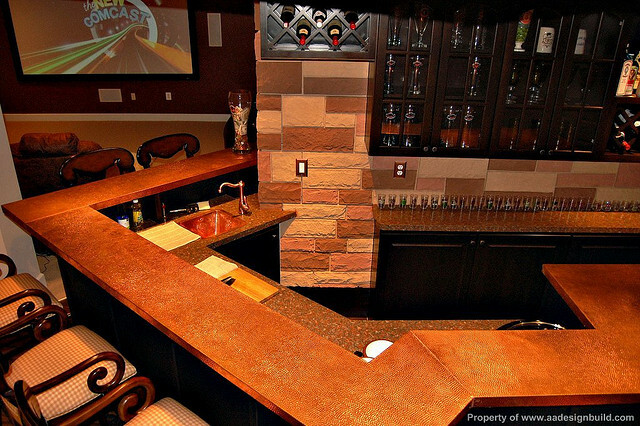 Basement remodeling in Delaware has never been easier or more affordable! Montchanin Builders offers the latest in home improvement throughout the Tri-State area including Wilmington & Philadelphia. Montchanin Builders is a full-service residential construction firm for the discerning homeowner who places a premium on quality, customer service and a comfortable living space. While Montchanin Builders LLC was incorporated in 2009, the principals bring more than 50 years of experience with residential construction to the table. A focus on customer service, a strong attention to detail when it comes to construction, fit and finish, and a passion for creating beautiful and functional spaces has been the guiding philosophy of Montchanin since our inception. Though locally based in Wilmington, DE, Montchanin Builders has a national reputation for quality and has been featured on HGTV’s Showhouse Showdown series. Whatever your remodeling project, Montchanin Builders can create a finished product that works with your lifestyle and enhances your environment. This includes basement remodeling, one of our many specialties. 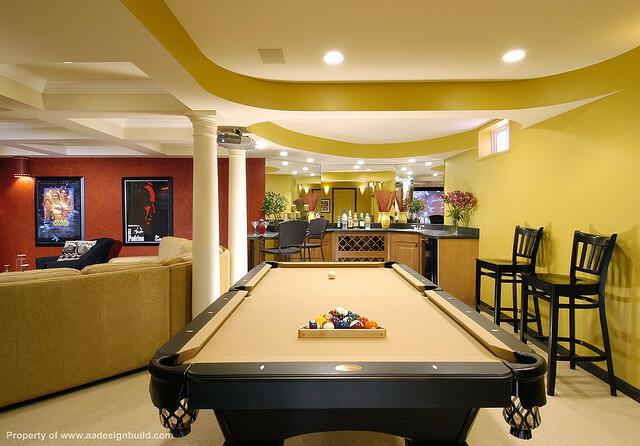 Don’t move when you can remodel your basement! 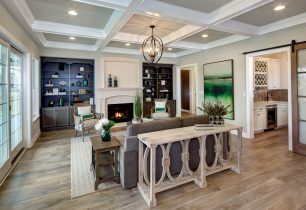 Many homeowners, after observing the turbulence of the housing and mortgage market in recent years, are choosing to enhance their current living spaces rather than searching for a new home. Remodeling this space is one of the most affordable ways to add usable square footage to a home and allows homeowners to create a sanctuary to relax, indulge hobbies or spend time with family and friends. Any space you can dream up! Basement remodeling is so much more affordable than constructing a home addition since there is no need to dig a new foundation, construct floors and walls or add HVAC. The structure is already in place. Montchanin Builders can put the finishing touches to transform your previously unused space into room you won’t believe you ever lived without. 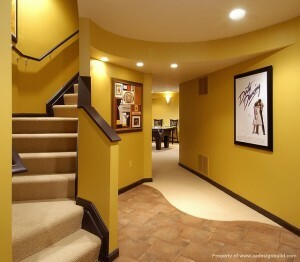 Remodeling a basement can increase your homes value by adding extra rooms and increasing square footage. It can provide growing families with more space and can be a practical or a fun addition to the features offered by a home. Whether yours is currently finished and in need of an update or is an unfinished and unused space, making changes to the basement area is a home improvement project that provides big returns. The lowest level of your home presents certain unique issues that a qualified contractor must address. First and foremost, it is essential to ensure proper drainage and avoid dampness that could cause the growth of mold or cause a newly remodeled space to become damaged. No matter how beautiful the project turns out, the success of a remodel depends upon taking care to ensure the fundamentals are done right. 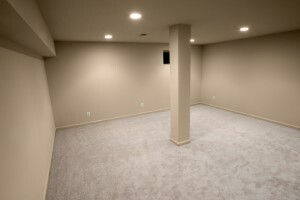 Montchanin Builders has the expertise needed for basement finishing and will work with homeowners to find solutions to protect the room from damage and ensure the remodel will stand the test of time. Choosing the right materials is essential, as avoiding organic material and choosing mold-resistant products can help to ensure the renovation is not susceptible to mildew, dust mites, mold and rot. 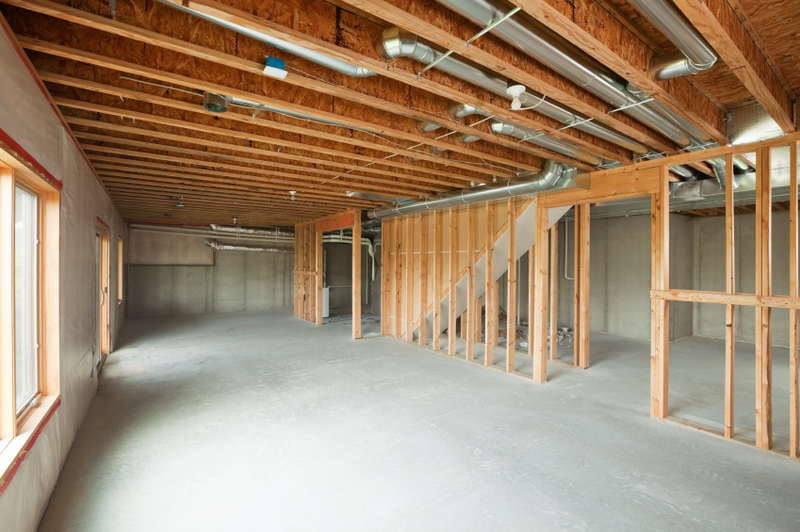 In basement renovations, mechanical systems must be addressed. Duct work, water pipes and wires all may run along the ceiling and must be accessible in case of needed repairs. These materials can be unsightly, and it is important to find solutions that provide access while still allowing the room to have a finished look. Our extensive experience with this area of the home helps us uncover solutions you may not have considered such as utility rooms and drop-ceilings which will maintain the practical access point for your home’s infrastructure while still being a beautiful finished space. Beyond the practical, the basement should be beautiful for homeowners undertaking the expense and time of a remodel. Homeowners who enjoy spending time in their newly renovated basements will often use the same level of finishes downstairs as they do in other parts of their home and the space will feel like prime real estate instead of a dark underground area. 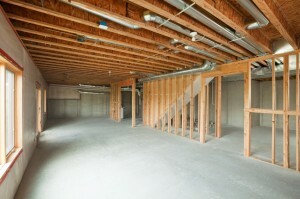 Maximizing light is important especially in basements that are not walk-outs or that do not have windows. Practical concerns must also be addressed. For homeowners installing a bar or a theatre, for example, putting in a downstairs dishwasher could help to avoid the need to carry items up and down stairs and could make the space more usable. Montchanin Builders has decades of experience helping Delaware area homeowners to design and construct dream spaces that function well. Our design and construction professionals can work with homeowners on basement finishing to ensure that the finished space is well-thought out and has all the homeowners need to make the new room the best it can be. Whatever your vision, Montchanin will help to translate it to a reality. There is no limit to the basement remodeling options that homeowners can pursue with the help of custom quality builders. Call 302-472-7213 to get started, or email wwright@montchaninbuilders.net.